The days are getting longer and the temperatures are more pleasant. It is time to start preparing for the tropical garden! Of course you can buy all exotic species in a specialized garden centre. Growing yourself is just as much fun. 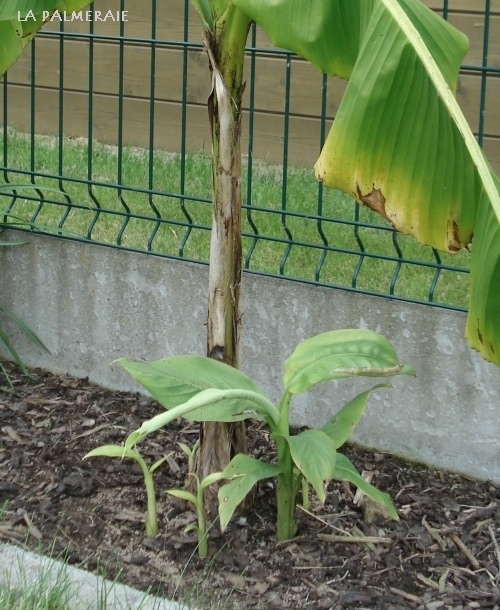 Traditional methods such as cuttings and grafting are not suitable for palms and bananas. This article reviews the 3 simplest methods. The best famous way to grow plants is undoubtedly to propagate from seed. This method is ideal for palm trees, bananas* and exotic species. All you need is fresh seed, a warm spot and usually a lot of patience. After all, many exotics only sprout within 1 to 3 months and sometimes even much longer. Detailed sowing manuals for palms and exotic species can be found on our website. In this technique, the root ball of the old plant is divided into several pieces, which are then replanted. This can easily be done by digging out the plant and cutting the roots. Each piece must always contain sufficient roots and a few stems. 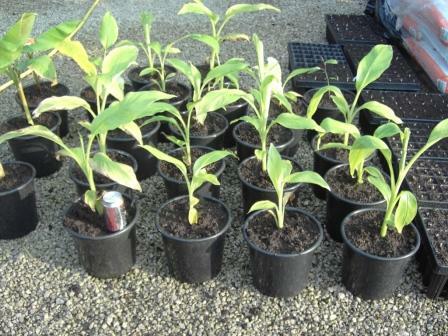 This method is very suitable for propagating exotic species such as bamboo, Canna and bananas. A number of exotic species form offshoots; young plants at the foot of the mother plant. A well-known example of this are bananas and Aloe vera. You can carefully remove these young plants and transplant them. It is important to leave enough roots on the young plant so that the shoot itself can take care of its water management and will not dry out immediately. It is best to use a knife to cut the root as close to the mother plant as possible. The larger the offshoot, the more roots are already formed. For bananas, it is best to wait until the offshoot is about 50 cm (1 ft 7 in) in size. You can then transplant the young shoot. 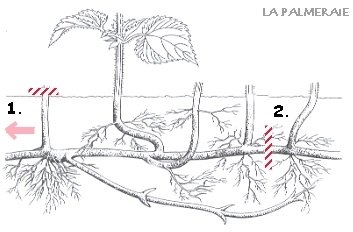 The rhizome formation is stimulated by cutting off the offshoots above ground (figure: 1). By cutting off the offshoot from the mother plant (figure: 2) the growth is inhibited and the offshoot can be planted out somewhere else.